Tucked away in the rolling valleys of western North Carolina, Gaia Herbs produces some of the finest herbal products available today. Their 250 acre certified organic farm includes growing facilities, a 36,000 square foot processing facility, and offices, allowing the company to control herbal production from seed to final product. Because the company maintains such a high standard for purity and quality, their products are considered superior to most herbs on the market today. In addition to their own growing facility, Gaia Herbs assists regional growers through a unique program that helps local tobacco farmers transition from growing tobacco to sustainable organic crops, including herbs. Their research spans the globe, ranging from a 30 acre certified organic research farm in Costa Rica to supporting Kava growers in Vanuatu, a small island in the South Pacific. LovetoKnow spoke with Gaia's founder, Richard (Ric) Scalzo, and Keri Marshall, N.D., medical director for Gaia, about their company and products. 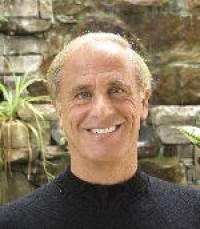 Ric Scalzo has over 25 years of practical experience with herbal medicine. Ric is a leading authority on the cultivation of herbs, extraction processes, whole plant standardization, and traditional herbal therapies. He studied herbal medicine at the School of Natural Healing under Dr. John Christopher and practiced as a clinical herbalist in a New England medical center. Ric founded Gaia Herbs in 1987 and today acts as both President and CEO. Dr. Keri Marshall is a licensed Naturopathic Doctor specializing in women's health and chronic illness. Dr. Marshall received her Naturopathic Medical degree from the National College of Naturopathic Medicine in Portland, Oregon, her Masters in Epidemiology from SUNY at Buffalo, and her Bachelor of Science degree from the George Washington University. She maintains a small private practice in Bethesda, Maryland as well as acting as Gaia's medical director. Ric told us more about Gaia Herbs and how it has grown to become the nation's premier producer of herbal products. How Did Gaia Emerge as the Leader in Herbal Products? RS: Gaia now 22 years old. We started in 1987 in a small office in central Massachusetts. We started the company as an emergent from a botanical consulting practice in Massachusetts. It began with the concept of introducing remunerative elixirs into the herbal marketplace, with the idea that we can provide herbs to certain systems (nervous, reproductive, etc.) and help guide those herbs with minerals from sea vegetation to rejuvenate the vital force of those systems. I intended it to be a small company from the get-go but it's evolved in its own distinctive way. It's evolved from seven products to over 300 products. What are You Most Proud of About Gaia? RS: The biggest moment for me was moving the company to North Carolina. When we did that, we established the 250 certified organic acre medical herb farm and medicinal processing plant with all of the analytical research facilities on site. This was a huge accomplishment and set the foundation for our success today. We are one of the very few companies that can claim the status of full domain from seed to finished product, and doing it all under the umbrella of certified organic. This ensures the highest quality herbal product from start to finish. Next, we asked both experts for their opinion about the growing interest in herbal medicine. How Do You Account for the Growing Interest in Herbal Medicine? RS: I think the reason why you see this renaissance is the baby boomers…they are leading the pack and recognizing that they need to take charge of their health and be responsible for their wellness. They recognize that pharmaceuticals fall far short of wellness. The inherent problems with pharmaceuticals is that they can compound side effects. For the baby boomers, there's a growing awareness that it doesn't work any longer. Right now there's an emerging interest in herbal medicine because people are becoming sensitive to global issues…things like GMO crops and global warming. There's a growing awareness of how important it is to take care of the earth, our bodies and minds, and nature. It's all one and the same and people are recognizing that they need to take charge of it. People recognize now that herbs work. There's been enough experience and recognition in the media. The media often has a counter position but that position hasn't been proven. For the most part, people have had great experience with herbal medicine and continue to expand their knowledge and interest. I think that's the reason why you're now seeing people taking charge and using products not just to treat colds and flu but chronic conditions, and taking herbs for wellness. It's an evolution of the use of herbs. KM: I have the unique position that I'm a physician and practice integrative medicine. When I made the decision to go to naturopathic medical school, I was on a track to complete a PhD in social preventive medicine. I found myself writing all these papers about the effects of nutrition on diseases and environmental toxins, especially on cancer. I had always know that I wanted to go to medical school. I wanted to figure out how all these thing affected people and their health - diet, environment, things like that. I was also part of the Women's Health Initiative, the largest clinical trial ever done. I was a patient recruiter. After being involved in that study I found naturopathic medicine at that point in my life.Even the first few years out of medical school, I had to justify who I was and why I looked at the body as a whole…how one disease process wasn't a unique and isolated experience…every part of the body from emotional to physical and spiritual were all tied in together. You really have to address the whole body. Now nine years later, there's just this enormous understanding and desire for patients to sit down and communicate. I think that the bottom line is that patients want patient-centered medicine. They don't want a seven minute office visit and a handful of prescriptions. They want time with their doctors and they want to take charge of their health and wellness. What Is Gaia's Best Selling Product, and Why? KM: Our top selling product is the Adrenal Health product, followed by Sound Sleep. That should tell you how stressed out as a society we are! We aren't sleeping and our adrenals are battered by all the stress.Consumers are so stressed these days. When the average person goes to the doctor with fatigue, anxiety, insomnia or vague complaints due to adrenal fatigue or stress, they get prescriptions for sleeping pills, antidepressants, and tests like blood work (that comes back fine). That's one of the places where herbal medicine has solutions that conventional medicine doesn't have. When you're under stress, cortisol levels go off, which makes you feel like you're losing your mind. Herbal adaptogens help the body self regulate these mechanism where conventional medicine has nothing to offer. What Sets Gaia Herbal Products Apart from Others Available? KM: Purity and potency - I've never found any other herbal products that were like Gaia's in terms of their purity and potency. One of the industry problems is that you don't know what you're getting and how much. Gaia has its own lab on site. We go from seed to finished product right here, on site. We test our products all the way - we harvest the plants at the hour when its medicinal properties are highest. No other company has the ability to do that. We can extract from plants when they are at their peak medicinal value. It allows our products to be more potent. It allows us to have superior quality control. We regularly check our products for sustainability, shelf life, to make sure that a year from now the products have in them what it says on the label. We want to feel very confident in our products. We also make patented phyto-caps that ensures potency and compliance. They also help with patient compliance. Many herbal tinctures don't taste very good, but people are willing to swallow capsules. Typical capsule products lose potency, but Gaia's special capsules maintain the potency of the herbs and make it easy for patients to take them. Should Consumers Choose Their Own Herbs? KM: I think it really depends. People shouldn't diagnose their own health problems. Feeling exhausted may be due to insomnia or a serious illness. If you go to the store and take herbs, you may not get the treatment you need right away for a serious problem. That said, if you know what's wrong with you and you've spoken with your health care provider, Gaia products are safe if taken according to direction. That's not to say that people won't have reactions to a product. People can be allergic or react to any substance, including herbs. But if you take Gaia herbal products according to the directions, there should be no major side effects. If you have a chronic, long-term illness, I think you should see a naturopathic doctor or a physician trained in holistic medicine. He or she can develop a full treatment plan. Any chronic illness requires a comprehensive treatment plan. Lastly, we asked for their final thoughts on Gaia Herbs and herbal medicine. KM: As a naturopathic doctor, I was always searching for the perfect products to recommend to my patients. I love the integrity and quality in Gaia products. They really are superior to others on the market. Please visit Gaia Herbs for more information on their herbal products and company. Products are available at health food stores nationwide.